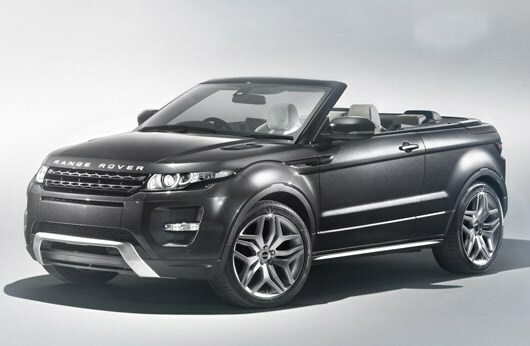 Land Rover has built a concept convertible version of its Range Rover Evoque. The concept, which will be revealed in full at the Geneva 2012 Motor Show, is based on the coupe model and features an automated folding soft-top. It's being used to assess customer reaction, to see whether it would be worthwhile to produce the convertible model. The aim would be to improve both Land Rover's appeal, and its sales figures. 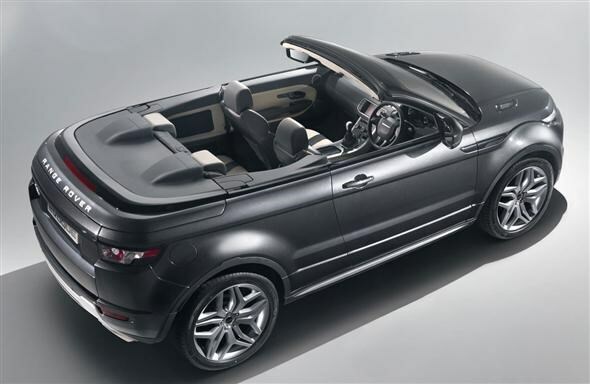 The Evoque Convertible Concept's development has been led by Land Rover's Design Director, Gerry McGovern. The concept is claimed to retain a degree of practicality, with a drop-down tailgate and seating for four. It even manages to retain key Land Rover features, such as impressive all-terrain capabilities and the typical commanding driving position. External changes, barring the obvious removal of the roof, are minimal. The hood is housed in a neatly-styled enclosure, level with the belt-line of the car, giving the Evoque Convertible a clean and uncluttered look. It's fitted with 21-inch alloy wheels, and gets a new grey metallic paint finish. Inside, the concept is packed with equipment that you can also find in the coupe model. It gets Land Rover's 'Terrain Response' control system, surround-view cameras, a park assist package, an 8-inch dual view touch screen and a Meridian sound system. As you'd expect the seats are trimmed in leather, with contrasting stitching and inset perforated panels. John Edwards, Land Rover Global Brand Director stated: "The Evoque Convertible Concept is a new twist to the Evoque story and explores the potential to further extend the nameplate's appeal by giving existing customers more choice, whilst at the same time reaching out to a completely new customer base. We are excited to see the response to this concept as we assess the potential for building on the Evoque's exceptional success so far." No plans are confirmed for the Evoque Convertible, but if the public reaction to the concept version is favourable then then it may be put in to production in the future.